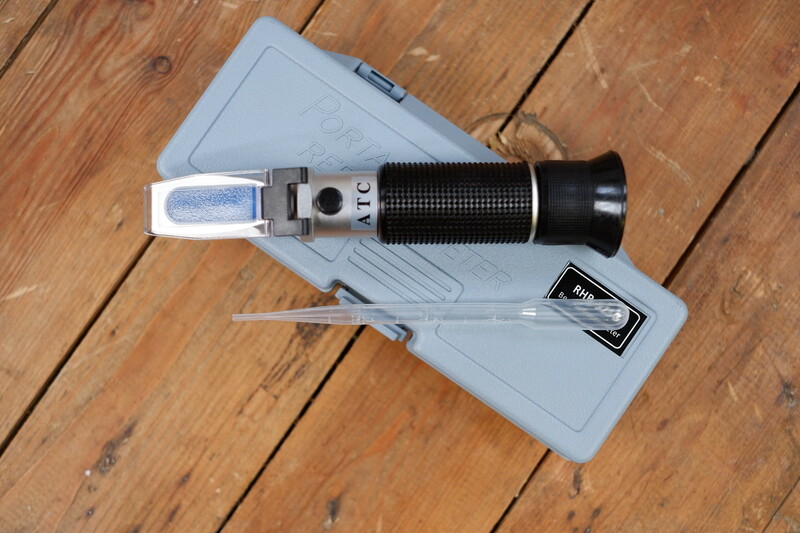 Beer 0-32% Brix Wort SG:1.000-1.120 Optical Refractometer. As only a small drop or wort is required (pipette included) this tool has the advantage over a traditional hydrometer during the brewing process, not having to cool 100ml of wort is appealing, especially those that are fly sparging. High quality pure aluminium body construction. Uses ambient light only which means battery or power source is not required. Easy to focus and calibrate. Cushioned with soft & comfortable non-slip rubber. Care needs to be taken if this is to be used for fermenting wort , see this article for more information.